A new single family home on a 0.9 acre lot. 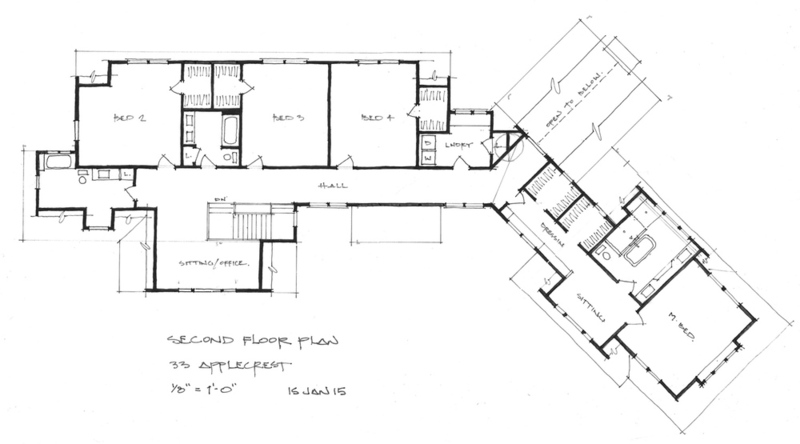 First Floor: 2,483 sq. ft.
Second Floor: 2,446 sq. 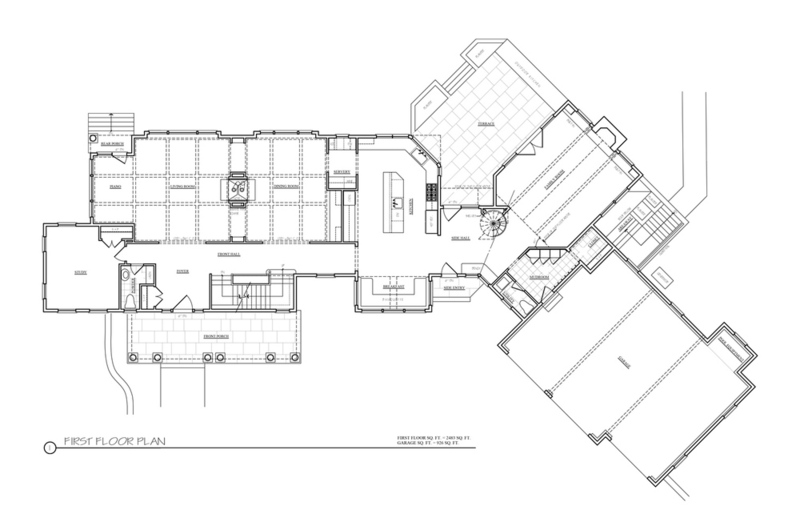 ft.
We always get excited with the opportunity to create a new, custom home. This one was designed for a young family of five on a quiet street in an established neighborhood. Like many of our designs, the second floor rooms are contained within the roof lines. The effect has the roof eaves springing from the second floor line which helps ground the house to its site. Most contemporary house designs have the Kitchen open onto the Family or Great Room. This client wanted a degree of separation so that part of the extended family could enjoy the game on the big screen in the Family Room while others could gather for more intimate socializing in the Country Kitchen. The Side Hall and Terrace provide the links between the two areas when desired. As a rule, the design arranges the public and semi-public spaces along the north-south axis of the lot, providing east and west exposure and natural daylighting for most rooms in the house, throughout the day.